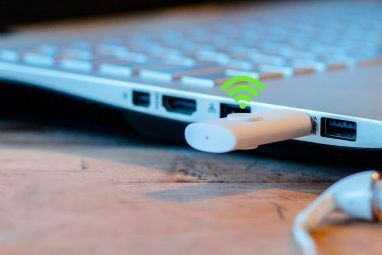 When you type in a website URL in your web browser, such as www.makeuseof.com, a number of technologies are at work behind the scenes to bring the webpage up on your screen. For a general overview of what happens when you visit a website, check out this infographic on how the Internet works How The Internet Works [INFOGRAPHIC] How The Internet Works [INFOGRAPHIC] Read More . But today, I want to delve into a topic that you will see more about in the coming months and that is the exhaustion of ALL IP addresses, to help diffuse some of the fear and explain what exactly is the big to-do. To further clarify on that infographic, since 1981 the internet has used TCP/IP, the IP portion standing for Internet Protocol. It is actually IPv4, or Internet Protocol version 4. As defined in the original protocol, that gave internet users roughly 4.3 billion IP addresses to use, which sounded like a lot at the time. However with the past and current growth of the Internet, these addresses are quickly running out, meaning that new devices cannot be “addressed” on the Internet except via some technical wizardry such as Network Address Translation (NAT) which will put multiple devices behind the same IP address. So to clarify, once these addresses “run out” we will still be able to access the internet, but new connections will have to come from sub-allocations of these ranges; meaning that it will be harder and harder to locate a free IP address to connect to the Internet. IPv6 or Internet Protocol version 6 is the solution to this problem. Instead of using a 32-bit addressing scheme that IPv4 used, it instead uses a 128-bit address, giving Internet users worldwide a maximum of 2^128 available addresses. This very large number will be enough to hold the internet users for the foreseeable future, but as with all things of this nature sometimes growth happens much faster than anticipated and you end up running out of addresses again. According to all the sources that I’ve read at least, this won’t be a problem in our lifetime. As you can see the numbers look quite a bit different but the websites are accessed in roughly the same manner using a human readable hostname. There are a number of technical difficulties that make the actual switchover complicated (and are beyond the scope of this article). You will likely receive special information from your Internet Service Provider once they switch over to IPv6. The answer this this question is “probably not.” Most websites on the Internet, including this one, are available only on IPv4 so if you are reading this article you are using IPv4. There are a number of ways you can test. The easiest way is to attempt to browse a website using the IPv6 protocol. You can test out if you have IPv6 connectivity in one way or another by connecting directly to Google’s IPv6 address, which is http://[2a00:1450:8006::63]. If you are an end user, don’t worry about the IPv6 address transition, it will come to you sooner or later. However if you are a network administrator or other decision maker in an organization, it would be well advised to start planning out a move since there are so many factors involved. According to the latest count we have under 60 days until all IPv4 addresses have been assigned and you will probably see some media reporting on this issue then. Eventually we will all be on IPv6, it is not a matter of ‘if’ but ‘when.’ In the meantime, relax and enjoy the web as much as you always have. Explore more about: Computer Networks, Ethernet. I've read that IPv6 doesn't currently support NAT. If my ISP transitions to IPv6 am I essentially exposing all the machines behind my router to the outside world? Most cheap modems/routers I've seen don't really have a firewall, and just use NAT to keep ports on private machines from being mapped publicly. If I'm assigning IPv4 addresses inside my LAN and my modem/router gets an IPv6 address, is that essentially doing NAT? What happenes if I change my router to start handing out IPv6 addresses internally? Are all the ports on my private machines exposed to the WAN? Let me try this again! Forget the Test URL above! If you land on Google's search page, using This URL .. Your ipv6 ready! For any of you geniuses that are clicking on the above 'test' url and then thinking you have ipv6 access, Because you landed on a Google page .. uh, no! "If" you land on Googles search page using This address .. 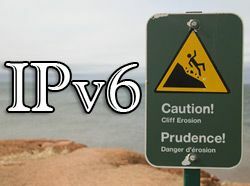 Your ipv6 ready! the google IPv6 link worked for me after I change my local connection setting to use iPv6. google IPv6 Link Not workin for me. in India, Still Behind, I Think We'll Be The Last 1 To Upgrade. Hey the Google link worked for me here too in Germany with my German Telecom net connection! 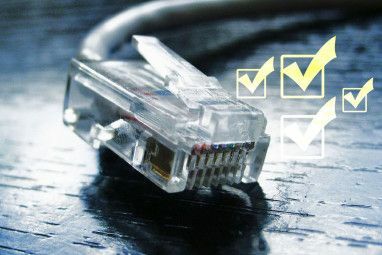 What can network administrators in small businesses do to prepare where no ISPs support v6 yet? UK for example. Until upstream ISPs support it, then there is not much you can do at this point. Keep checking, eventually they will! 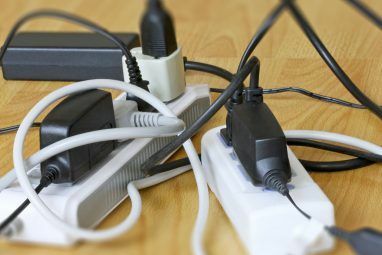 Dave Drager works at XDA Developersin the suburbs of Philadelphia, PA.
What Are the Different Computer Cable Types You Need to Know?